The eTravel World is attracting more exhibitors than ever. For the first time more than 250 Travel Tech exhibitors in six halls. 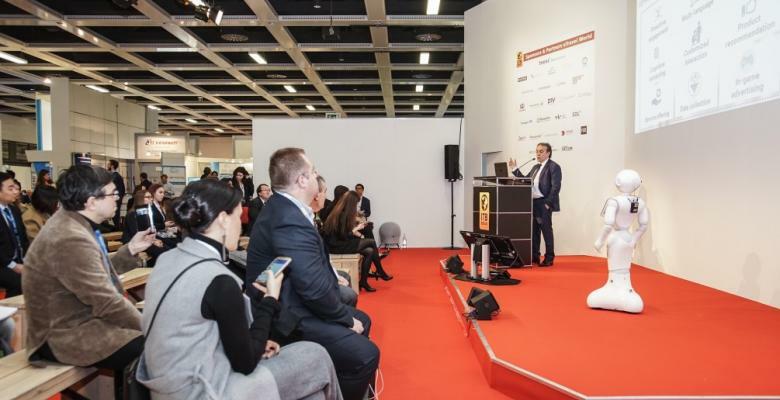 BERLIN – Always one step ahead: at ITB Berlin numerous topical themes and informative examples of best practices await visitors to the eTravel World from 6 to 9 March 2019. Visitors interested in travel technology can find out more in the exclusive area featuring new technologies, digital marketing and social media, the eTravel World in Halls 6.1, 7.1b and 7.1. Companies representing global distribution systems (GDS), tour operator databases, reservation systems, payment systems, travel agency software and calculation programmes will also be displaying their products in Halls 5.1, 8.1 and 10.1. The short distances between all these areas means that interested visitors can gain a quick and easy overview of the entire tech industry. From 6 to 9 March in Halls 6.1 and 7.1b the eTravel Lounges sponsored by Travelport and the Hospitality Industry Club will provide free networking areas where visitors can meet and hold talks.